Discussion in 'World Cup 2018 Forum' started by midfield, Jul 16, 2018. 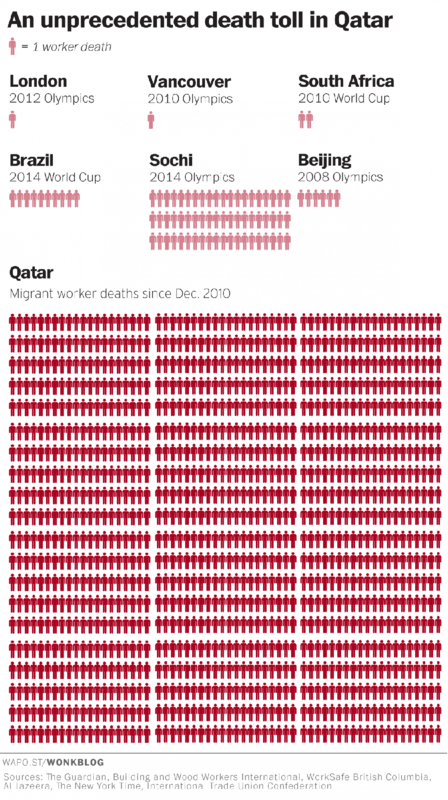 Qatar are also possibly the worst team to ever host a world Cup. The first country to be awarded the tournament that has not yet appeared at a World Cup. Obviously don't include the first competition when Uruguay hosted it. Lots of money in envelopes persuaded FIFA bigwigs to award it to that nation. Unbelievable Jeff. Until I will waiting for the world cup - 2022 I will watch Australian football cup. Australian football is very funny and the team shows a beautiful match. This world cup can get ****ed. RM and JoshBCFC like this. I get what you mean about the ordinary people who I'm sure are perfectly fine. It doesn't change the fact though that it's a completely unsuitable country. The climate is the biggest issue after the obvious corruption issue. Surely the very first requirement of a hosting country is that they have a climate suitable for hosting a football tournament in the months of June and July? Qatar fails this most basic test and should have been eliminated at the first possible opportunity. From a practicality point of view it's as stupid as hosting the World Cup in Antarctica and saying they could install heating in the stadiums. Also as others have said a winter World Cup just doesn't feel right. The World Cup is about long summer evenings, BBQs etc. Cold, dark winter nights are for watching your club team it won't feel right for a World Cup. This is right but Mexico is stifling heat as well in the summer and just been awarded 2026. You're talking about a team a lot worse than Saudi Arabia and Panama and they'll be seeded in the group! Russia as a team were written off as rubbish (and probably wouldn't have qualified) but being hosts propelled them to achieve what they did with the crowd behind them etc and that's the joy of the tournament. They're still a decent set of players in terms of European leagues. The best Qatar are going to do is naturalise a few Brazilians in time for 2022 who might help them keep the score down. How romantic. Will FIFA do something about it? Highly unlikely, the money's gone, already spent, the horse has bolted. Happy reading! How does that happen or even allowed to happen! ?